The Local Police recently captured a community of stray cats at Playa Las Gaviotas in Santa Cruz that posed a real threat to the natural area with special protection for birds. A man from Santa Cruz supplied the cats with water and food, in small, temporary tents. Arriving on his motorcycle, he visited the cats regularly to take care of them. Despite the good will behind this gesture, this can be seen as an attack on the ecological balance and is therefore punishable. The man confessed and also stated that he had asked several animal welfare organisations for help, but in vain. 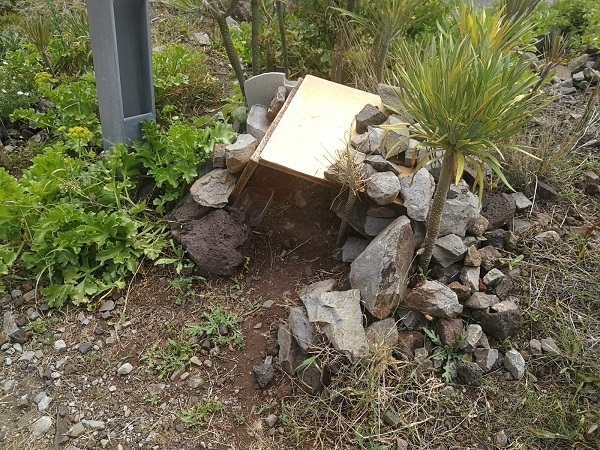 Now the group has been captured with the help of the Valle Colino shelter in La Laguna, where the cats are waiting to be adopted into forever homes.